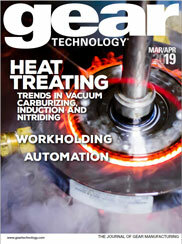 The article "Grinding It Out" appeared in the January/February 2018 issue of Gear Technology. C & B Machinery Meets Rigorous Demands with Installation of Manufacturing Cell. The article "Grinding It Out" should appear in the box below, but if you do not see it, you can download it here.